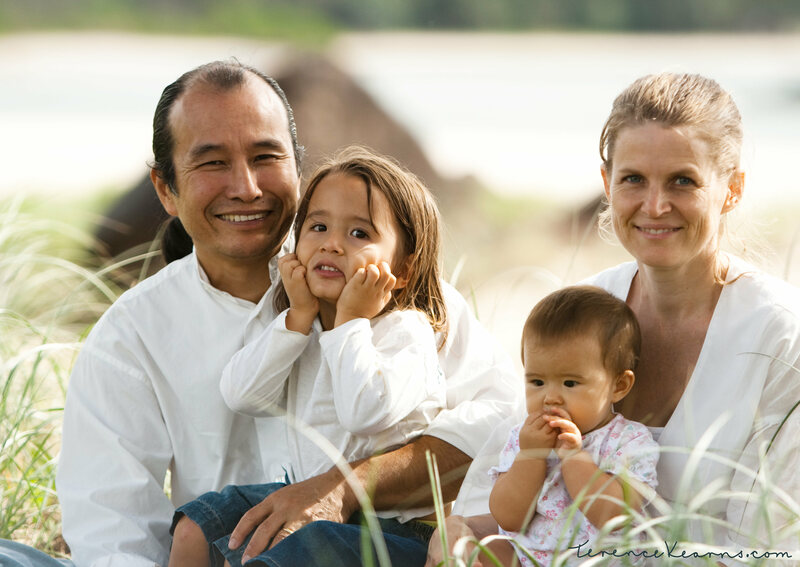 We are a Japanese and Australian couple with two young children. We are passionate about natural living and about creating a healthy and sustainable future for our children. In this blog, we share some of our life and our vision of a home-based, natural and organic life. We also welcome your input, ideas, tips and experiences. Hi Filippa – I think you create wonderful blogs. I too am a fan of Gotu Kola – I often eat 15 leaves a day and have never had any bad effects. I notice that there is quite a lot growing near he entrance of the Eco Village – it has a distinctive taste so I always know I have the correct one. Have you noticed it is shaped like a brain? an interesting indicator of a plant’s potential. two or three of these bruised stalks, chopped into half inch pieces and steeped in a pot of nearly boiling water, make a tea to aid digestion, ease menstrual cramps, reduce stress and promote a calm night’s sleep. Take those same stalks and rub their oil over your skin and you have a natural mosquito repellent—lemongrass is a common ingredient in candles and incense used to repel bugs. They can also be used topically for anti-fungal and antiseptic purposes. Yet another way to use the stalks is to tie them into a sachet and drop them into a bathtub for a soothing aromatherapy experience. Given the stress of modern life—and the risks such as heart attacks that come with it—we consider these aids to relaxation as beneficial as the Malay warriors surely found their use of lemongrass centuries ago. Thank you Judy! Well after reading your comment, I am resolved to have a lovely cup of lemon grass tea picked fresh from my garden every evening! What fantastic inspiration you give towards lemon grass. I have an abundance of it in my kitchen garden and since it grows without any of my help, I tend not to give it much thought. I am now inspired to pick some and make some tea. I’m certainly enjoying more frequent cups of it! lemon grass also makes a great “soft” edge to edge your garden and keep back the grass from invading. And, I can’t remember the season but there is a time when it’s good to cut it back and then the cut lemon grass makes a wonderful mulch. And don’t forget, you can rub it on your skin for a natural insect repellant or boil it on the stove for insect repellant in the air! It’s time people took responsibility for their children’s health … your blog is great … congratulations ! How lovely to see you here Gina! We shall come up the mountain to visit you soon!! Thanks for your positive feedback. So you mean you actually grow mung beans in the garden and not sprouting from dried beans? That sounds lovely!! One day I will become more of a gardener.